“Blackguard of the Titanic” vindicated. Again. When Titanic sank 100 years ago today, one of the last lifeboats to be launched was the captain’s emergency boat, a small wooden rowboat that in theory could carry 40 people but had only 12 on board on the night of the tragedy. 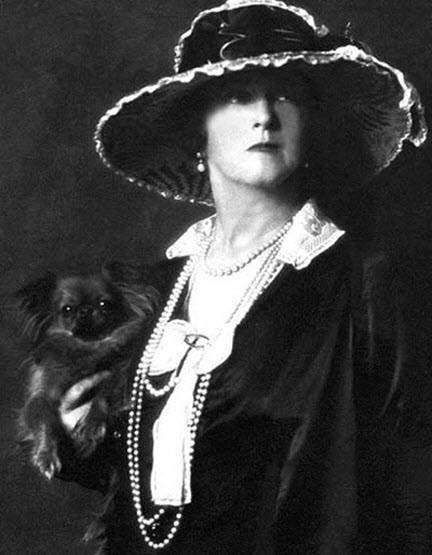 Seven of them were stokers from Titanic’s crew, two were American male passengers, and the last three were Sir Cosmo Duff Gordon, a Scottish baronet, his wife Lucy, scandalous designer of the couture fashion house Maison Lucile, and her secretary, Laura Francatelli. An officer on deck, who reportedly later would shoot himself rather than drown, ordered the stokers to row hard and fast at least 200 yards away from the sinking ship. They did, and all 12 people survived. When they were safely aboard the Carpathia, Sir Cosmo gave each of the stokers who had rowed the boat £5 to thank them and to defray their losses, since everything they owned had gone with the ship. One of the recipients spread the word about this payment, describing it as a bribe from a heartless plutocrat who wanted to get as far away from Titanic as quickly as possible instead of going back to collect victims from the freezing water after the ship went down. According to the sensationalist news stories, at least one of which falsely claimed to have been written and signed by Lucy herself, Duff Gordon paid the stokers to keep them from returning to the site because he was concerned suction from the huge ocean liner’s sinking would drag their dinghy down with the ship. Also, he smoked cigars on the rowboat, and his twirled-up mustache definitely had the look of villainy about it. The bribery story made the Hearst news and was widely picked up by the British press, so by the time the Duff Gordons returned to England it was a full-blown scandal. Sir Cosmo and Lady Duff Gordon were forcefully questioned on the stand at the 1912 Board of Trade inquiry. You can read the full testimony of Sir Cosmo Duff Gordon (day one) here, (day two) here, and of Lady Duff Gordon here. They really went after them both, especially Sir Cosmo, who as a man was seen as particularly iniquitous because he took a seat that could have saved a woman or child. In fact, he had refused to get in two previous lifeboats, and although he encouraged them to go without him, his wife and her secretary refused to be budged from his side. When they got in that final rowboat, they and the two American gents were the last passengers on that deck, and the officer who directed the stokers to row was only too glad to see any passengers at all rescued. Interestingly, the American men were not vilified in the press for having snatched seats out from under women and children, just Duff Gordon. 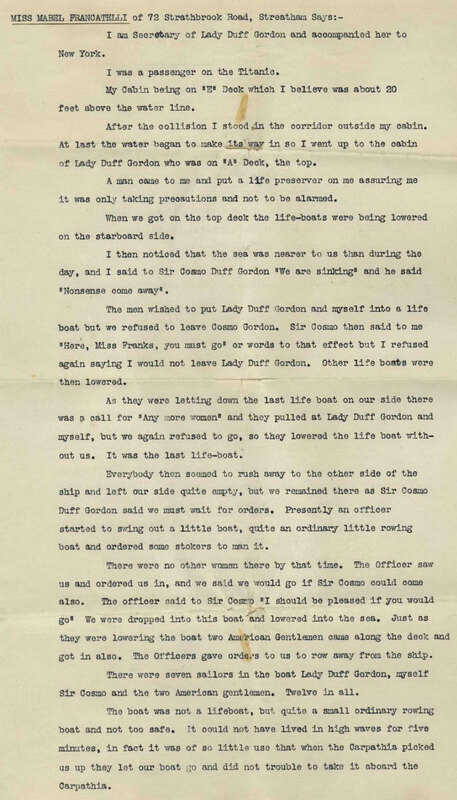 According to the Duff Gordons’ testimony, there was no discussion at all on the lifeboat about returning to collect drowning, freezing victims. Laura Francatelli submitted an affidavit confirming their testimony, and the Board of Trade exonerated him of all wrongdoing. It was too late. Duff Gordon’s reputation as the “blackguard of the Titanic” stuck. He spent the rest of his life in increasing seclusion until his death 19 years almost to the day of the sinking of the Titanic. 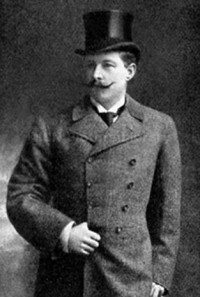 Even today Duff Gordon is still being used as an example of selfish first class passengers who let 1500 people drown rather than risk any danger or inconvenience to themselves. Perhaps a newly discovered trove of letters found in the files of the law firm that once represented Duff Gordon will rescue him from perpetual ignominy. The documents were discovered by two summer interns who were assigned what has to be the best law firm intern task of all time: going through old papers looking for anything that could be returned to living descendants of deceased clients. 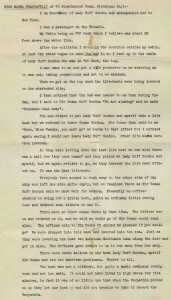 The papers include letters to friends and family written days after the sinking, detailed descriptions of the events of that night and a complete inventory of their lost possessions. That was not all. Her life jacket was next, topped by her moleskin fur coat with Astrakhan muff. She took a last look at her “lovely little cabin” with its lace, cushions and photographs and a large basket of lilies of the valley. “It didn’t seem possible there could be any danger.” Cosmo took with him into the unknown the Edwardian aristocrat’s survival kit: a flask of brandy, a colt [sic] automatic pistol and a handful of cigars, which he later handed out to the seamen in his rescue boat. Regarding the so-called bribe, Sir Cosmo wrote: “Indeed at that moment I would have given anything that I possessed to anybody who wanted it, as my heart was full of thanksgiving that the two women in my charge and myself were where we were.” The documents rebut every other point raised against them at the Board of Inquiry and in the press. 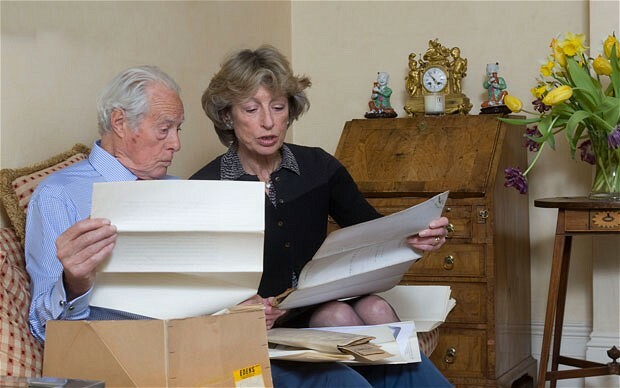 The documents are now in the possession of Sir Cosmo’s grand-nephew Sir Andrew Duff Gordon who hopes they will be the final word on the topic. It’s still just their testimony, though, not independent verification, so I don’t know if the papers will rehabilitate Sir Cosmo, and his wife has something of a saucy, flippant writing style which doesn’t exactly scream empathy.